After three or four weeks of mostly avoiding US politics, welcome to this column’s Midterms Blowout Bonanza. As you’ll already know if you’re a sentient creature, this week saw American voters go to the polls in droves to deliver their verdict on the Trump administration. The results were . . . mixed, to say the least. Both sides were able to claim victory, but both sides also received a warning about what could happen to them in 2020. Not interested in US politics? We’d highly recommend you skip the first five sections below. All the polls had been predicting it for months, but it was still a huge relief for the left when it actually happened. 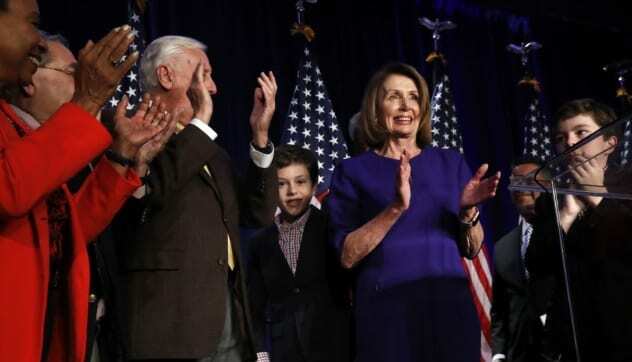 On Tuesday, the Democrats finally reentered government after two years in the wilderness when they won back the House of Representatives. At time of writing, 420 of the 435 seats have been called, giving the Dems an unassailable lead of 223 to the Republicans’ 197. While we won’t learn the full results for some time yet, the party has already passed the 218 needed to control the chamber. Leading up to Tuesday, some outlets had been predicting a “Blue Wave” that could net the Dems up to 50 extra seats. In the end, the party underperformed for those expectations, instead looking on course to pick up around 35 seats. Enough to give them a comfortable majority, but not quite the thumping landslide win many on the left had been hoping for. Holding the House was an unlikely dream for the GOP. Governing parties always get hammered in the midterms, and 2018 was no exception. Still, the Dems should be pleased that the post-Hillary version of their party already seems to have won back support in many of their heartlands. Back in November 2016, it looked like those states could be gone forever. So that was the good news for the Democrats; what about the Republicans? Across the aisle, the Grand Old Party had just as much reason to celebrate as their rivals. While they lost the House, the ruling party did something no one has done in a midterm race for some time. 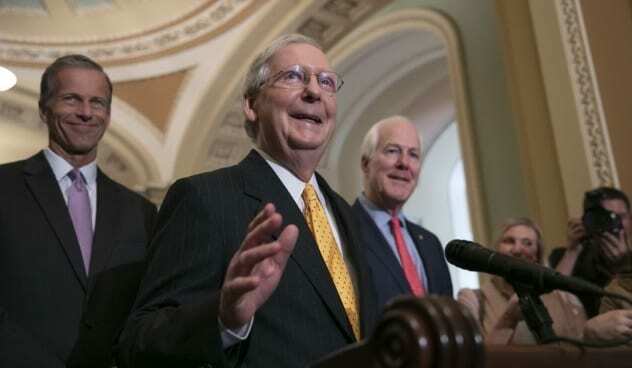 They not only held their Senate majority; they increased it. At least, it sure looks that way. Three seats have yet to be officially called, with two races close enough for a recount and one, Mississippi, going to a runoff on November 27. That being said, the Republican candidate leads in each seat. 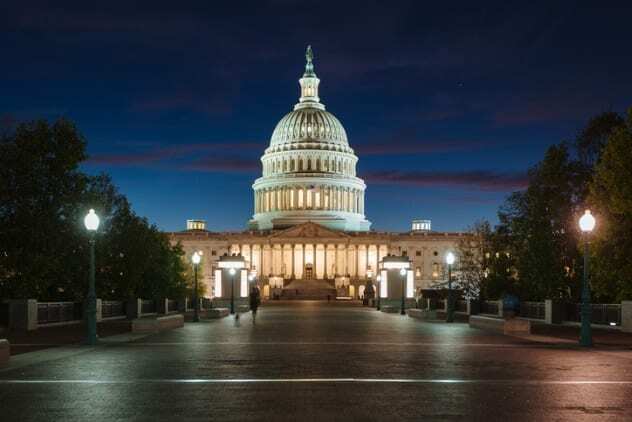 It’s likely that the red majority in the chamber is going to build to a spectacular 54, easily enough to ram through any appointments the party or the president have in mind. Although the Senate map was fairly bad for Democrats, they had hoped to ride a wave to take at least a couple of seats. Instead, all they gained was Nevada, while simultaneously losing Indiana, Missouri, and North Dakota. West Virginia’s Joe Manchin amazingly managed to hold on, but he’s long been the reddest Democrat in Congress. In Texas, Beto O’Rourke failed to unseat Ted Cruz. In all, it was an amazing night for an incumbent party, and the GOP should be pleased with itself. The House and the Senate were the headline races, but another hugely important battle was also being fought on Tuesday night. In 2020, redistricting will see electoral boundaries being redrawn across the US. Controlling a state’s governor’s mansion will be key to making the map favorable, which is why 2018’s gubernatorial elections were watched more closely than usual. The results were a mixed bag for both parties. The first headline was that the Dems had a shock collapse in support in some areas, failing to capture Florida and Ohio, two races they’d been favorites to win. The second was that Georgia’s race was so close that we still don’t know who won. Once mail ballots are counted, it’s likely the race will go to a December 5 runoff. 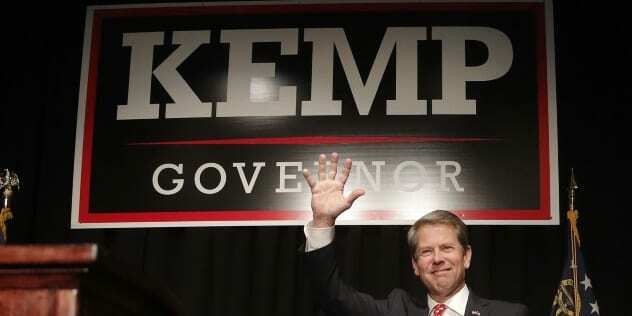 If Democrat Stacey Abrams fails to beat Republican Brian Kemp, it will be a massive blow to the party’s hopes for 2020. The third headline, though, was that the Republicans also had some unexpected problems. Despite taking Florida, they had to watch as Scott Walker was unceremoniously kicked from the Wisconsin governor’s mansion. A bigger problem still was Laura Kelly unexpectedly swiping Kansas from Secretary of State Kris Kobach. If Florida was the Dems’ shock defeat, Kansas was the one the GOP absolutely should have won. Good news for Michigan residents who’ve spent the last month standing on the border and waving their fists at all those Canadians enjoying completely legal weed. 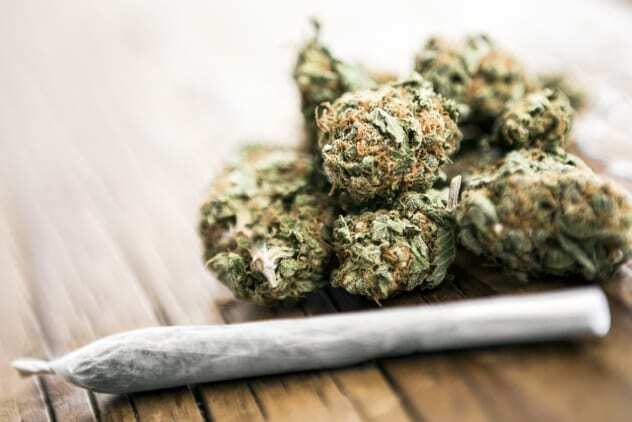 Tuesday’s results also included a whole host of down-ballot measures, not least of which was the legalization of recreational pot in Michigan. It was a massive win for both smokers and Big Marijuana and marks yet another domino falling. It surely can’t be too long until the “demon weed” is legalized at the federal level? Last, but not least, Tuesday also saw Massachusetts become the first state to vote on maintaining transgender rights first extended in 2016. While the results haven’t been officially called, the “yes” camp seems to have an unassailable lead. LGBT groups have claimed the vote as a huge win. 6 So, What Did It All Mean? After all that, you might now be wondering exactly what all this means in real, practical terms. Well . . . we don’t know. Hey, no one does. It’s really all just guesswork at this stage, especially when the 116th Congress hasn’t even taken up residence on Capitol Hill yet. However, it’s always fun to play around with our crystal balls. So, let’s see what we can see, shall we? The big takeaway of the night was that the promised Blue Wave never emerged. Dems did about as well as an opposition party should in the midterms, suggesting 2020 won’t be the cakewalk they once predicted. On the Republican side, the message seemed to be that Trumpism still carries serious clout in many parts of the country . . . but perhaps not enough to make Mitch McConnel sleep comfortably at night. If 2020 is looking bad for the Dems, the GOP should be worried by how many Midwest states swung back blue on Tuesday, as the Midwest breaking for Trump was one of the key reasons 2016 was such a wave year for Republicans. In short, the night was both a win for both parties . . . and a possible warning. As for the future? Well, you can expect House Democrats to try and frustrate the president’s agenda or at least prod him toward their priorities. (Trump has already suggested he could work with the Dems on certain bills.) If the relationship goes sour, though, expect a grinding two years of investigations and special committee hearings. However, don’t expect an impeachment. Everyone still remembers how Bill Clinton’s impeachment by Republicans handed the Democrats a massive popularity boost in 1997. And now back to the rest of the world’s troubles. For three whole years, a significant chunk of Iraq was in the hands of the most feared terrorist group to emerge in the 21st Century. ISIS controlled places up to and including Iraq’s second city, Mosul, placing millions of civilian lives in their hands. As we all know, they abused that responsibility in the worst way possible. For three whole years, tales of the sexual enslavement of Yazidi women, the massacre of Christians, and videos of Shia Muslims being executed circulated. (ISIS were Sunni.) As you probably recall, they were horrific times. Now, we may finally be getting a clear picture of the extent of suffering ISIS unleashed in the territories they controlled. 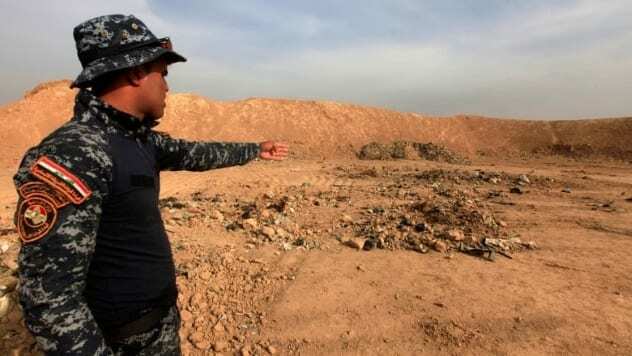 This week, the UN announced the discovery of 202 mass graves in former ISIS lands in Iraq. It’s suspected anywhere between 6,000 and 12,000 bodies may be buried in them. Such a scale of bloodshed would be unparalleled this side of the Bosnian civil war, with its campaigns of ethnic cleansing. And these are just the graves in Iraq. The group held larger swathes of Syria for even longer. International prosecutors are now on-site to build likely war crimes and genocide cases against surviving members. To say the UK’s 2016 referendum on leaving the European Union was contentious is a bit like saying bears like to relieve themselves in the woods. In the ferocious, often bitter weeks of campaigning, accusations of misinformation and outright lies were thrown back and forth with alarming regularity. But actual, criminal behavior? Apparently so. 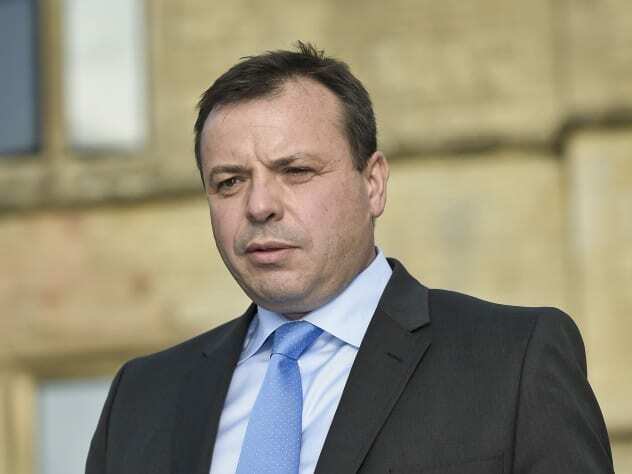 This week saw a serious fine levied against the unofficial Leave campaign, Leave.EU, and its primary donor, Aaron Banks, for breaching data regulations. To be clear, the unofficial Remain campaign is also under investigation for mishandling data and may well yet be hit with its own fine. But the timing for Banks is terrible, to say the least. Last Thursday, the UK’s National Crime Agency announced it had opened an active investigation into Banks, who is suspected of breaking campaign donation law by loaning $10.3 million to another anti-EU group. The investigation follows a yearlong probe by the UK’s Electoral Commission. At heart is whether the $10.3 million really came from Banks. It has been traced back to a company in the Isle of Mann, and investigators evidently suspect it of coming from foreign sources using Banks as cover. If it turns out to be true, Banks could face serious legal consequences. It brought to mind the horrific kidnapping of the Chibok schoolgirls in Nigeria by Boko Haram. 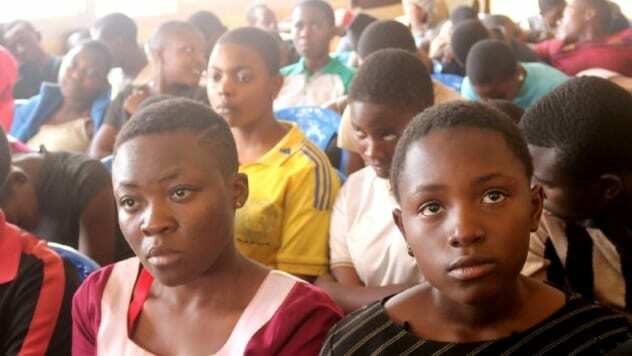 On Monday, armed militias associated with Cameroon’s English-speaking separatists waltzed into Bamenda and kidnapped nearly 80 schoolchildren, alongside several teachers and a bus driver. The kidnapping came at a time of increased strife in the country. Cameroon has been in trouble ever since the two English-speaking regions tried to declare independence from the French-speaking majority. Since then, armed separatist groups have begun a low-level war against the government, including the kidnapping of adults and children to fund their activities. The school targeted in this attack had already been hit once in October, when 11 kids were held hostage until the school paid a $6,000 ransom. Thankfully, this particular kidnapping ended better than it could have. By Wednesday, 78 children and their driver had all been freed after the military located the militants and threatened to come storming in. However, several teachers and at least one child still remain in the militants’ hands. Last week, a series of storms hit Italy that caused landslides and flooding on a massive scale. As the weekend rolled into view, their intensity only increased, resulting in some of the worst flooding the country has seen in decades. Landmarks in Venice vanished underwater. Sicily’s rivers swelled up and exploded over their banks. But while the unusual weather was good fodder for Instagram-loving tourists, it was also a tragedy. On Monday, the drowning deaths of two families in Sicily took the death toll of Italy’s week of storms soaring to over 30. 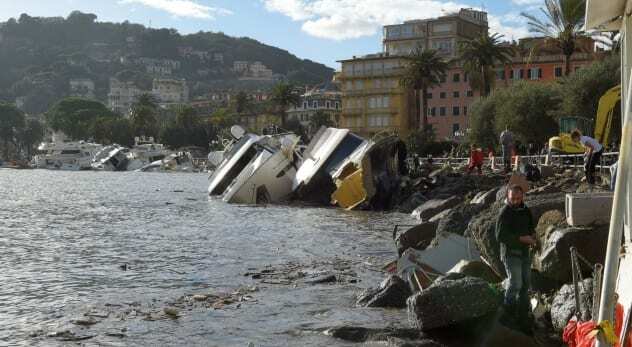 The devastation comes barely three months after a bridge collapsed in heavy rain in Genoa, killing 43. While the weather was likely uninvolved in that case, the close proximity of the disasters has only added to the feeling that Italy is experiencing more than its fair share of tragedy at the moment. Hopefully, we won’t be reporting on yet another disaster in three months’ time. Another weekly news roundup, another week of discussing mass shootings in America. Last Friday, after this column had been published, a 40-year-old man burst into a yoga studio in Tallahassee, Florida, and opened fire, killing two women and injuring six other people before committing suicide. While it wasn’t the deadliest shooting the US has seen this year, the possible motives behind it were deeply troubling. The gunman, Scott Paul Beierle, was a self-confessed misogynist who’d been fired from previous jobs for groping women. More worrying still, he was a fan of Elliot Rodger, the incel (“involuntarily celibate”) mass shooter who killed six people in 2014. More recently, Rodger was back in the news for inspiring Alek Minassian, the moron who killed ten people in Toronto by plowing a truck into them back in April. It’s now starting to look horribly like violent incel attacks are becoming a depressing fact of life. Yet even Beierle’s dumbass killing of women for the crime of not sleeping with him ultimately paled in comparison to what happened late Wednesday night. 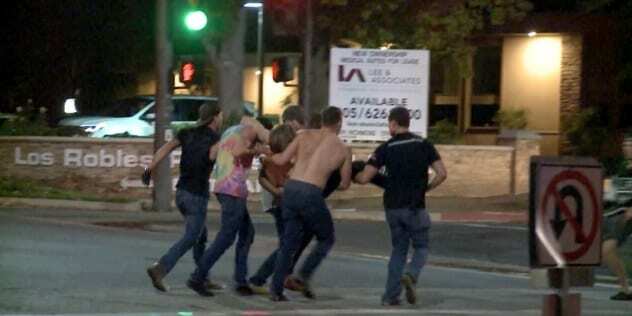 A Marine veteran named Ian David Long walked into a bar in Thousand Oaks, California, and opened fire in the middle of a student country music event. At time of writing, 12 people are confirmed dead, including a cop. While Long’s motives are currently unknown, it’s just yet another awful mass shooting to report on in a year of them. We hope this turns out to be the last such tragedy, but honestly? We’re not holding our breath. Missed the news lately? Catch up on more mind-blowing events from November 2, 2018, and October 26, 2018.